If you need a replacement tooth here or there, your dentist will likely recommend dental implants. Dental implants are different forms of metal set into your jawbone under the gums. Your dentist then places the replacement tooth on this metal, which anchors the tooth in place. 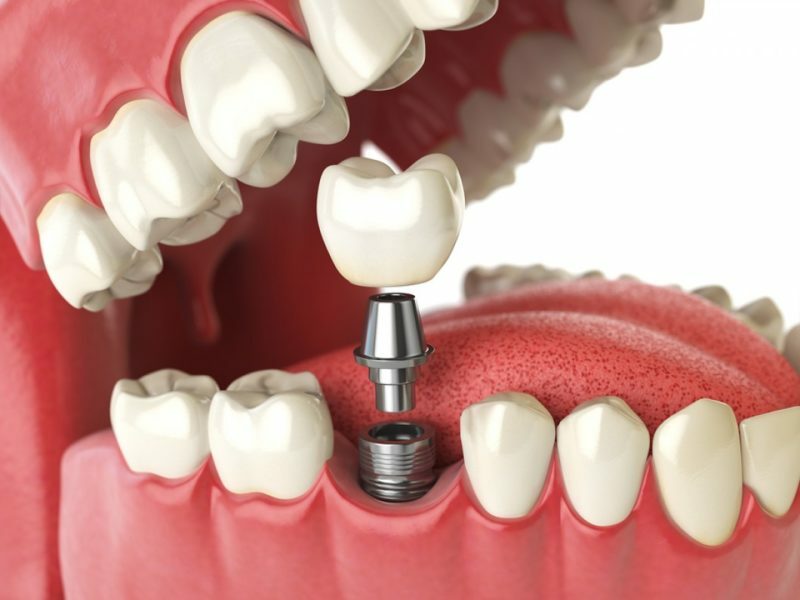 Additionally, dental implants are a nice alternative to traditional dentures and bridges. The dentures or bridges can be attached to the metal implants to keep them from slipping. This is especially useful for speaking and eating. Some people experience extreme discomfort from regular dentures and bridges and may benefit from dental implants. Typically, when your dentist fits an ordinary bridge, they must sand the neighboring teeth, but with dental implants you can avoid manipulation of the neighboring teeth. There are two types of recommended dental implants: endosteal implants and subperiosteal implants. Endosteal implants require two small surgeries. One surgery to install the metal rod into the jawbone and a second surgery once the gums have healed to connect a post to the rod. The artificial tooth is then attached to the post. This can be done for one artificial tooth or a group of teeth. Subperiosteal implants use a metal frame fitted to the jawbone. Once the gums heal, a post or posts can be attached to the frame. The artificial tooth or teeth are mounted onto these posts. Installing dental implants is a surgical procedure and not suitable for every patient. Dental implants require healthy gums and enough bone to support them. They require a strict maintenance routine once installed and you’ll have to maintain good oral hygiene overall. You’ll need to schedule regular dental appointments to ensure successful, long-lasting dental implants. Dental implants are often more expensive than other types of replacement teeth and your insurance company may not cover much of the cost. However, dental implants may make your life a lot easier and be worth it in the long run. Speak to your dentist to determine if dental implants are right for you.